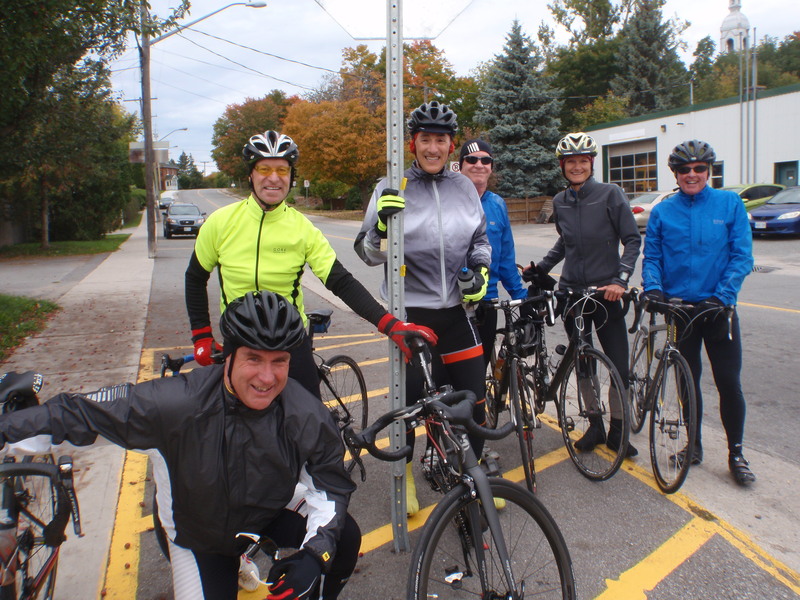 Oct 04/15: 78 Kms; 2 Hrs 34; 374 Metres; Seven riders. Well hello to this late post and the last one for a couple of weeks. I’ll keep this short. I’m off cycling elsewhere, mostly where it is warmer and there is lots of sunshine. Saturday’s ride will start from Stinsons at 8 am. Route and mileage yet to be decided.